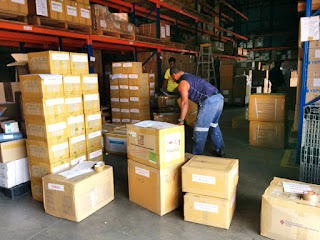 The Papua New Guinea Secretary of Health, Mr Pascoe Kase released a statement today to address concerns raised in the mainstream media and within social media channels regarding an alleged shortage of Anti-Retroviral Therapy (ART) drugs. This is the regime of drugs which are relied on by people who are living with HIV. Secretary Kase said he was concerned with the number of ill-informed comments in the media, particularly those from people who should know better. While it was true that there were limited supply levels in the Departments central stores this was for two reasons. The first is that all drugs are distributed by the HIV Program Teams to treatment centres around the Country. It is vitally important that adequate levels of these drugs are maintained at clinics close to the patient groups to ensure continuity of supply. The second reason that these drugs are not held in large numbers centrally is that they are very high cost and have demanding storage requirements. Keeping large stock levels is costly and risks losses through deterioration. The Department maintains close cooperation with Donor partners and is able to have stocks delivered into the Country with less than two months’ notice. The Secretary said that he had recently signed a large order for all common use ART drugs and this stock should be arriving in PNG prior to the end of May. The Secretary said that with stock levels in most clinics being between 3 and 4 months’ supply, this would leave considerable time for orderly restocking. Some clinics have additional stocks in transit to them, however should still have adequate stocks to at this time. The Secretary stressed that all parties who worked on the HIV epidemic in PNG were very pleased that progress in the treatment of HIV had moved to the point that the majority of people affected with the disease could live long and productive lives. The Secretary pointed out that it was crucial that people on the ART drugs should continue to take what was prescribed for them. “The Department is doing its best with our partners to ensure medicines reach our stores and are available to those who need them.